We are the independent eyes and ears of DoD and its partners, delivering actionable acquisition insight from the factory floor to the front line … around the world. The announcement came as Masiello finishes her first 100 days as the agency’s director. She’s spent much of that time visiting contract management office’s around the world, talking with employees at all levels to get a full understanding of the organization’s work and the challenges it faces. Masiello took the input from her visits into a two-day strategic offsite meeting with agency senior leaders. 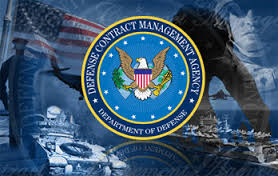 There they conducted a stakeholder analysis and discussed overarching DoD strategic guidance including the Quadrennial Defense Review; the DoD Strategic Management Plan; and the acquisition, technology and logistics Better Buying Power initiatives. One team, one voice delivering global acquisition insight that matters. In addition, the director announced four broad strategic goals that will be the foundation of a strategic plan for fiscal years 2015 to 2020. Masiello said in the coming weeks she’ll conduct both virtual and live all-hands sessions with the workforce to discuss the agency’s way ahead. “I could not be more proud to be a part of this amazing team,” said the director. “I know that by working together we will overcome many obstacles while exceeding any goals we assign ourselves. I look forward to your partnership as together we provide acquisition insight that matters through global engagement." NOTE: After serving in the U.S. Navy as a young sailor during the Vietnam War I went on to serve as a Defense Department civilian employee for the Defense Contract Management Agency. For the last 21 of my more than 37 years of combined U.S. Navy/DCMA service, I was the administrative officer of a DCMA command in Philadelphia. I oversaw security, safety, public affairs and other support services for the command. I retired in 2007 and became a full-time writer.